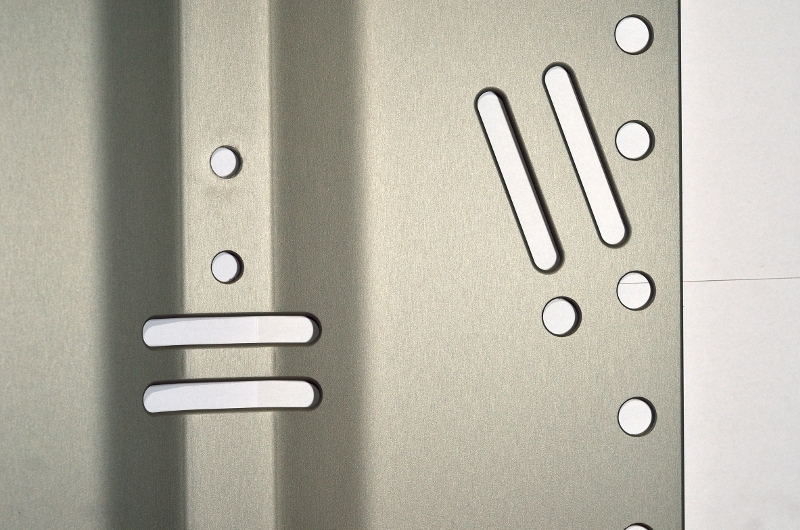 The backplate is made in the same design and quality as our standard short backplates. 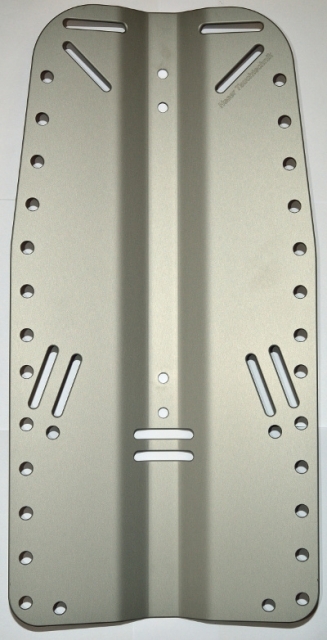 This backplate is manufactured according to customer specifications. 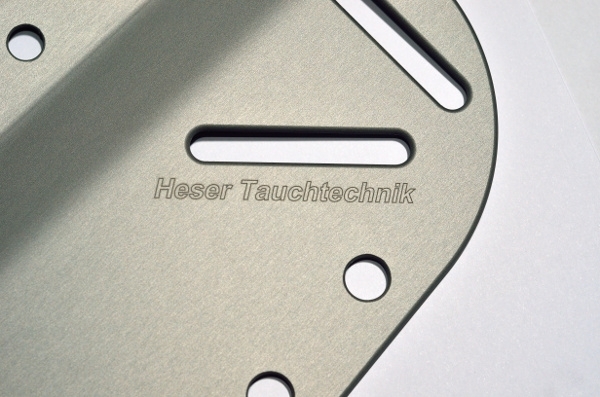 It is a special back plate for use with a rebreather. Due to the long design, the backplate rests on the buttocks of the divers. Since most rebreather are too short to be on the buttocks. Backplate with normal length press the lumbar area, which often caused back pain. 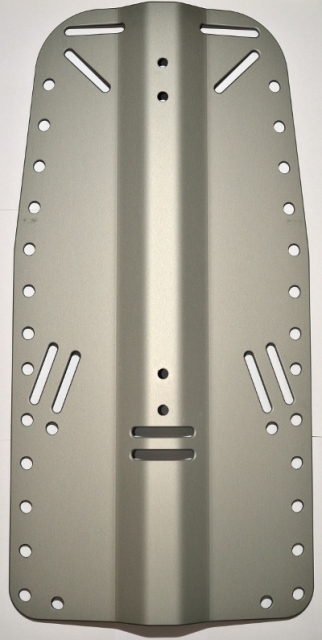 Backplate Material: 4mm (0.16 inch), about 1,4kg (3 lbs) salt-water resistant aluminium Attention: The salt-water resistant aluminium in exposure to stainless steal (for example with stoppers) and salt-water will loss by corrosion. 3 x stopper toothless (stainless steel).